Replicas of the entrance arch of the ancient Temple of Bel in Palmyra, Syria, will be recreated using a giant 3D printer for World Heritage Week in London and New York. The recreations are intended to defy the actions of extremist group the Islamic State in Iraq and Syria (ISIS), which destroyed a large portion of the nearly 2,000-year-old temple building in August of last year. The arch, which is nearly 50 feet high, is one of the few relics standing after ISIS sought to systematically destroy Palmyra in an effort to erase the pre-Islamic history of the Middle East. Before the conflict in Syria ignited in 2011, Palmyra’s rich cultural heritage drew more than 150,000 tourists each year. The temple, which was founded in A.D. 32 and consecrated to the Mesopotamian god Bel, was exemplary of the fusion of Middle Eastern, Greek, and Roman influences and was considered to be one of the most important sites in Palmyra. The temple was converted into a Christian church during the Byzantine era, and then into a mosque when Islam arrived around the 7th century. 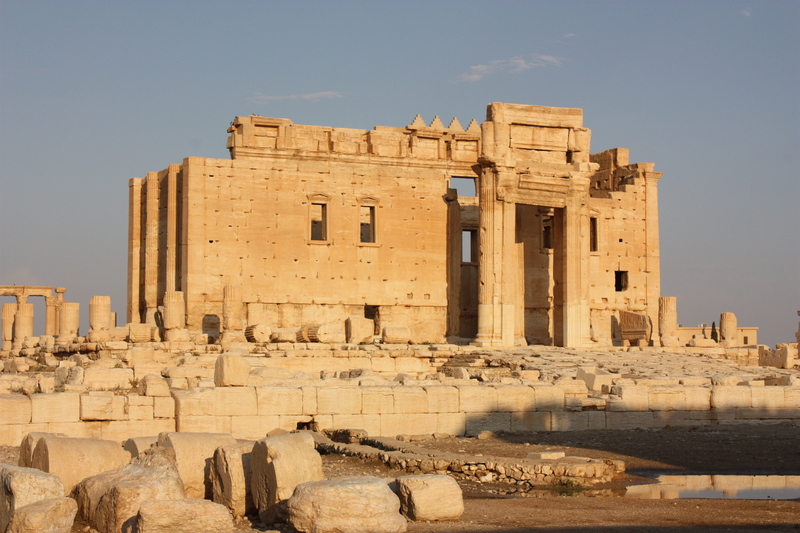 In recent times, the Temple of Bel was an important cultural venue for Syrians, acting as a setting for concerts and events. The Institute for Digital Archaeology (IDA), a joint venture between Harvard University, the University of Oxford, and Dubai’s Museum of the Future that promotes the use of digital imaging and 3D printing in archaeology and conservation, is taking the lead on the recreation efforts. Last year, the organization collaborated with UNESCO in the distribution of 3D cameras so that volunteer photographers could document threatened cultural objects in areas of conflict in the Middle East and North Africa. The images are to be uploaded to a “million-image database” for use in research, educational programs, and ultimately 3D replication, as in the case of the Temple of Bel. Although the Temple of Bel was demolished before photographers with 3D cameras could capture it, researchers at the IDA have been able to create 3D approximations of the temple using ordinary photographs. 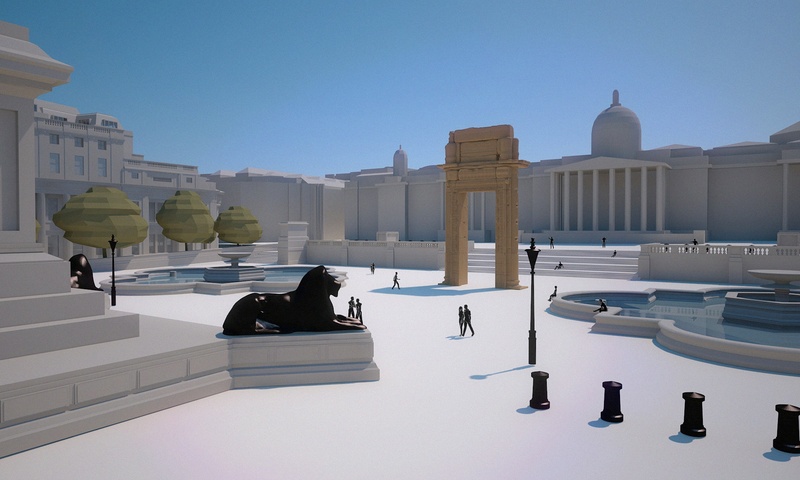 The full-size replica arches, to be made from stone powder and a lightweight composite, will be created off-site and then assembled in Trafalgar Square and Times Square for display this April.